As India celebrates its 71st Independence Day, it must remember the sacrifices made by leaders of the freedom movement. It was their vision, idealism, commitment to democracy, secularism and pluralism that made India an exceptional nation in the world. India’s commitment to secularism and rule of law is unmatched and unparalleled. But, unfortunately, over the past several months, violent acts carried out by some members of right-wing groups posing themselves as cow vigilantes have resulted in the death of more than 20 people. Any type of violence that is grounded in hatred, bigotry, harassment, misunderstanding and ignorance does not represent the character and conscience of a country that has been a shining symbol of democracy, diversity and secularism around the globe. The violence and polarisation are contrary to the nation’s values. This type of intolerant and ugly behaviour by some individuals is against India’s traditions and commitment to communal peace and harmony. It must be confronted both for the sake of the good Hindu and Muslim citizens of India and the distinctive and honourable multi-hued reputation of the state itself. 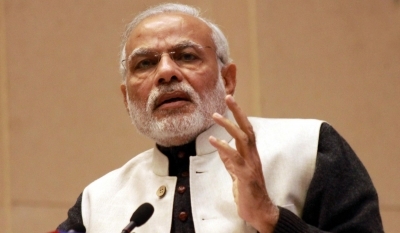 Prime Minister Narendra Modi has spoken out against the spate of violence against Muslims. He reminded the country of his call of “Sabka Saath, Sabka Vikas” (with everyone, for everyone). Some may think this call will not be answered. I believe it will, because many of India’s greatest leaders have in the past stressed building community through collaboration and cooperation. For example, consider the teachings of Pandit Madan Mohan Malaviya, founder of the famous Banaras Hindu University. He was a visionary who saw the world not though religious blinders but through an expansive view of what strong and inclusive faiths can do to unite rather than divide us. Malaviya declared: “India is not a country of the Hindus only. It is a country of the Muslims, the Christians and the Parsees too. The country can gain strength and develop itself only when the people of India live in mutual goodwill and harmony.” Taking a lesson from him, in order to create an atmosphere of communal peace and harmony, we need to discover our “spiritual common ground”. That is because spirituality transcends religious, racial and regional boundaries. Spirit is the invisible force that brings us together regardless of our particular predispositions. Religious leaders are in a unique position to build bridges, to break down the barriers, to promote dialogue of understanding, and to forge stronger bonds among different faiths. This can be accomplished by bringing followers of different persuasions to have open discussions on controversial topics or issues of importance. These conversations can make and reinforce the point that an attack on one religion is an attack on all religions. When we attack each other, it tears India’s harmonious fabric. Political leaders have the responsibility to ensure that all laws are fair and enforced uniformly. As importantly, they can take affirmative actions to promote an atmosphere of communal peace and harmony. They need to develop a plan of what can be done to strengthen those bonds that bind all Indians as one family. They need to promote the voice for understanding, cooperation, and civility among faiths. Citizen leaders must come from all fields — business, education, health care, to name just a few. They can lead by example, by sponsoring events and investing in plans and programmes that cut across and eliminate racial, religious and socio-economic divides. They can play a vital role in defusing tensions and helping our youth understand the need for collaboration and communication. They can play a pivotal role by promoting the unique benefits of unity by articulating the idea that “We are stronger together”. And, together, they can help shape a better future for India.